Fifty-six retired Generals & Admirals warn Trump that if his anti-transgender tweets are implemented it would degrade military readiness stating, “President Trump seeks to ban transgender service members because of the financial cost & disruption associated with transgender military service. We respectfully disagree & consider these claims to be without merit. The RAND Corporation, as well as research in the New England Journal of Medicine, found that the financial cost of providing health care to transgender troops would be, at most, $8.4 million per year. This amounts to one one-hundredth of one percent of the military's annual health care budget. 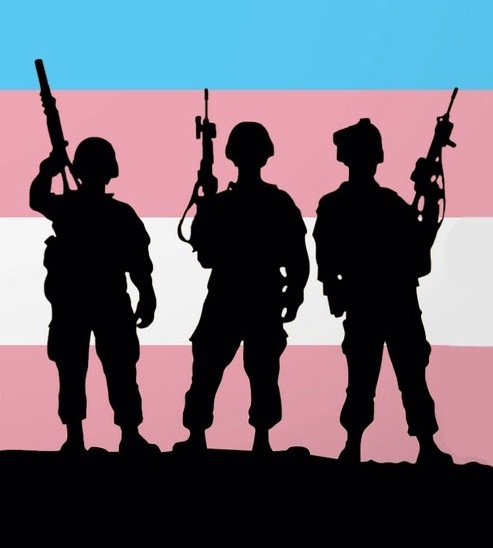 As for ostensible disruptions, transgender troops have been serving honorably & openly for the past year & have been widely praised by commanders. Eighteen foreign nations, including the UK & Israel, allow transgender troops to serve & none has reported any detriment to readiness.” Admiral Mike Mullen stated, “I led our armed forces under the flawed 'Don’t Ask, Don’t Tell' policy & saw firsthand the harm to readiness & morale when we fail to treat all service members according to the same standards. Thousands of transgender Americans are currently serving in uniform & there is no reason to single out these brave men & women & deny them the medical care that they require. The military conducted a thorough research process on this issue & concluded that inclusive policy for transgender troops promotes readiness.” Again this is all part of Trump’s agenda to weaken America by attempting to divide our nation.